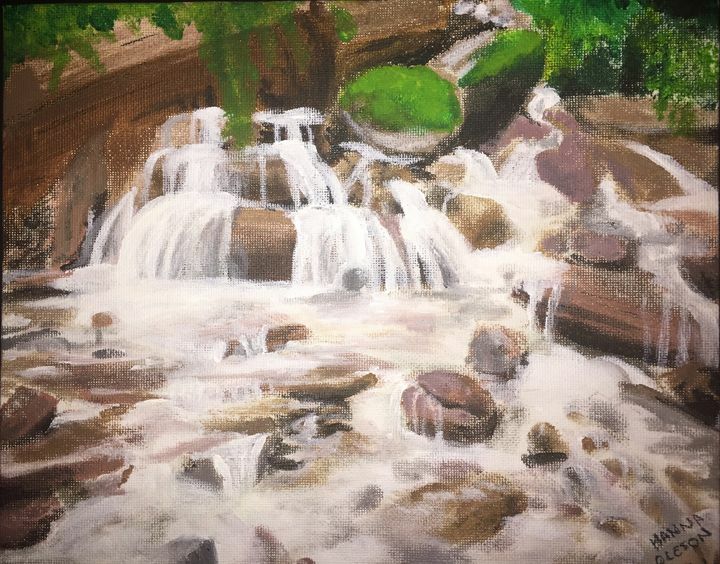 A small acrylic painting of a creek. It features a few small waterfalls flowing down some rocks, with thick tree trunks around the outskirts of the canvas. There are trees in the background. There are many small rocks and lots of shading in the water. Minuscule details are paid attention to. It’s realistic, yet not hyperrealistic. Created by me at 13 years old.